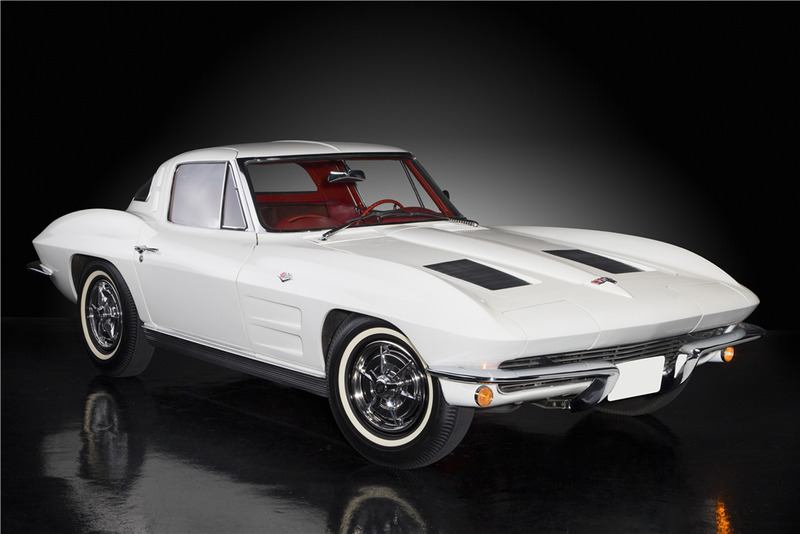 This is an original 1963 Corvette Split Window Hertz rental "ski car." It is powered by a 327ci engine and a 2-speed automatic transmission. A handful of these white and red automatic Corvettes were purchased by Hertz Rental Car Company at Luby Chevrolet to rent to skiers in Denver, CO. Hertz outfitted these cars with ski racks and snow tires. This car has never been restored, with the exception of a complete exterior paint job in 2016. It has the all-original drivetrain with matching numbers, an original interior and documented history, including the 1963 Colorado rental license plate. It also comes with the original dealer order copy showing Hertz as the original owners, an original GM warranty booklet, radio instructions, pamphlet and NCRS judging sheet. It also has the never-used original spare tire, snow tires, Hertz badge on the dash and owner’s manual. It is signed by Joe Luby.